To address the major water crisis in the desert state of Rajasthan India, the International Sri Deep Madhavananda Ashram Fellowship, has launched a Desert Rainwater Harvesting initiative. This Rajasthan initiative will utilise traditional Rainwater Harvesting techniques in conjunction with community based watershed management plans to provide a sustainable model to be used in drought affected areas throughout the world. The Desert Rainwater Harvesting Initiative is a grass roots project aimed at alleviating poverty and providing a reliable water supply to some of the most remote populations in rural Rajasthan, who have been in the grip of severe drought for the last decade. A key outcome of the Initiative will be the formation of global partnerships and the establishment of an international centre to promote Rainwater Harvesting for desert and semi-arid regions of the world. 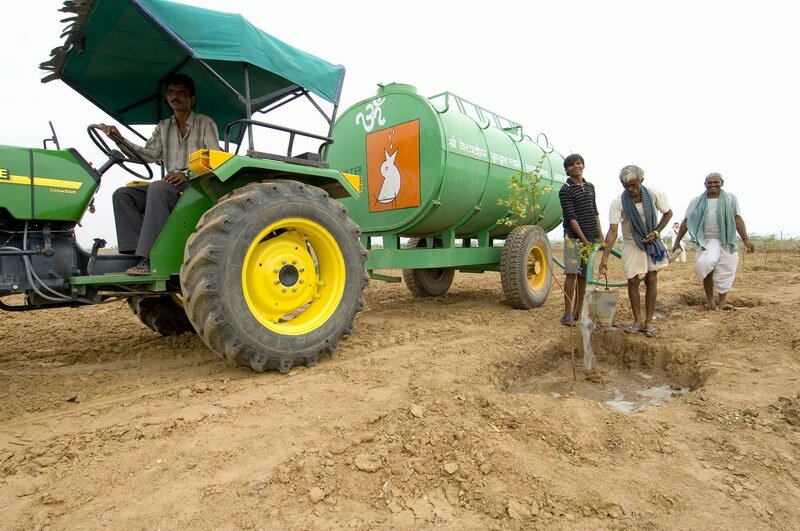 The Desert Rainwater Harvesting Initiative was created in response to the ever increasing water crisis facing India's remote rural communities in Rajasthan and from direct requests from villages affected by a recent 4 year drought. The Initiative aims to provide a year round supply of fresh water for rural communities in drought affected areas of Rajasthan where the Lead Partner has had a long standing presence and ongoing working relationship with the local villages. If only 1% or 2% of the rain that falls on India was captured, it would be sufficient to meet the drinking requirement of a billion people at a liberal 15 litres per person per day. In order to provide water for the projects of the Ashram, including the hospital, the Society constructed a large surface water dam in the Ashram for catching of rain water run off. 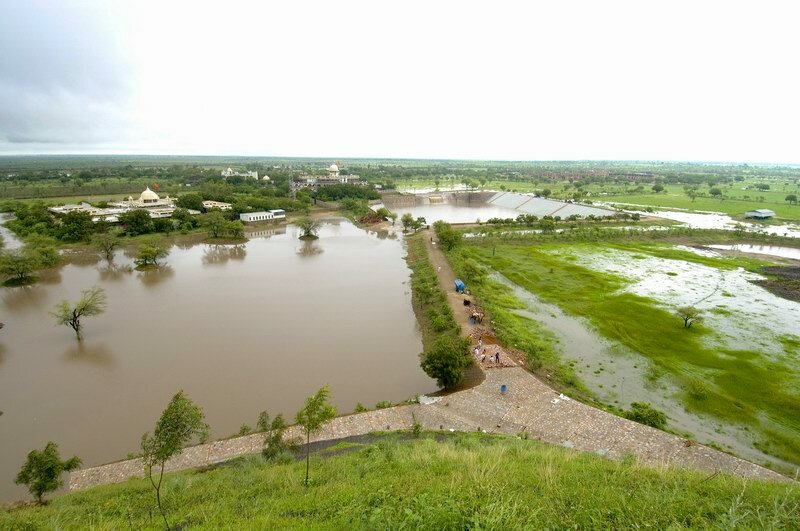 The Ashram's unique position on the water course in the area means that a large flow of water passes through the dams catchment. The dam was built over a period of 3 years. The water for the dam will also be purified and used to supply drinking water to needy villages in the area. Village Water Action Planning is a community based participatory process originally developed by OzGREEN (Global Rivers Environmental Education Network - Australia) in 1997 for the World Bank. The process involves working directly with local villages and training them to conduct an environmental assessment of their village and watershed and then develop Village Water Action Plans that will provide the village with a sustainable freshwater supply as well as restore the health of their local environment. 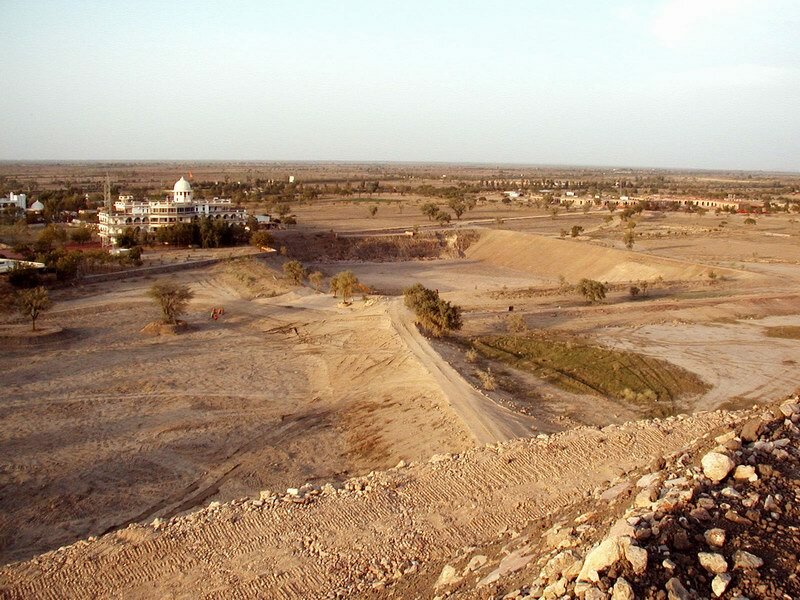 Using the experience in the Jadan region, the International Fellowship and its partners will extend the Desert Rainwater Harvesting Initiatives to six other locations throughout remote, rural Rajasthan - where it's other Education and Research Centres have been operating for decades within the local communities. The project will benefit the local communities by providing local employment, fresh water for drinking and agriculture, education opportunities for women and children, reducing pollution, preventing water related diseases and improving public health. The initiative is led by the International Sri Deep Madhavananda Ashram Fellowship and the Australian Association of Yoga in Daily Life. Yoga in Daily Life - centers in America, Austria, Croatia, Czech Republic, Germany, Hungary, Slovakia, Slovenia, Yugoslavia, Australia, New Zealand, Canada. Om Shree Deveshwar Mahadev Gaushala cares for many old, homeless and sick animals.